Though it is possible that Mahler had started work on his Third Symphony as early as 1893, correspondence shows him at work on it the summers of 1895 and 1896 at his one-room cabin at Steinbach on the Attersee outside Salzburg. His sister Justine and companion Natalie Bauer-Lechner were tasked with silencing crows, water birds, children and whistling farmhands. Mahler wanted to create a world which he entitled The Happy Life – A Midsummer Night’s Dream. Though he was quick to warn that it was “not after Shakespeare”. When did it have its premiere? In 1897 movements 2, 3 and 6 were performed in Berlin by the Berliner Philharmonic conducted by Felix Weingartner. Mahler conducted the complete Symphony on June 2, 1902 at the Festival of the Allgemeiner Deutscher Musikverein at Krefeld. What instruments did Mahler use? So why are you calling it “The World of Mahler No. 3”? In conversation with Jan Sibelius in 1907 Mahler said that “a symphony must be like the world. It must embrace everything.” When he was composing the No. 3, he stated that, “the term ‘symphony’ – to me, this means creating a world with all the technical means available.” The No. 3 was to be his view of the World as he saw it surrounded by nature in his secluded retreat. At that time, he felt that a symphony had to have a programme or scenario that the audience could follow for easier understanding. As mentioned, the No. 3 was first entitled The Happy Life – A Midsummer’s Night Dream and to be made up of five sections. Each section had a title reflecting the theme of the movement however over the two years that he honed it to its completion the titles and themes were to change eight times until he finally settled on a programme. The title had also evolved, and it was now called A Summer’s Midday Dream and the work was now made up of six movements. A seventh movement “What the Child Tells Me” was deleted but to reappear as the Finale of his Symphony No. 4. So, was it a success? If it was such a hit why isn’t it performed more today? That’s a very good question. In a BBC Music Magazine poll of international conductors, it was ranked amongst the 10 greatest symphonies ever composed and yet it is the least performed of the nine that Mahler composed – No. 10 was left incomplete. Several things work against it being a “standard”. The length of the piece – the first movement alone spans almost 40 minutes; the size of the orchestral and choral forces required; the unusual juxtaposition of forms make it a complex word to perform and to interpret. It is a challenge for any orchestra and conductor – and audience – who undertake it. Well exactly how long does it last? 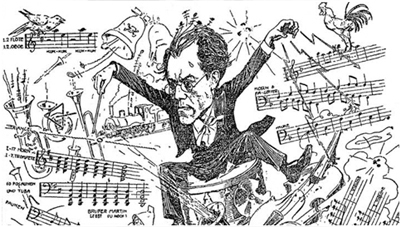 If played without a pause the entire piece lasts approximately 90 minutes; however, Mahler indicated that there could be a short intermission after the first movement. We will be following that tradition here at the PEISO so you can expect to be in the concert hall for about 2 hours. If it requires so a large orchestra and choral how can the PEISO perform it? One of the challenges for any orchestra of our size is to take on the “big” works such as the Mahler Symphonies. We’ve met that challenge twice before with the No. 1 and No. 4 using what’s called a “reduced orchestration”. These versions, many by arrangers who are composers in their own right, are transcriptions or arrangements of pieces for large orchestras. Parts may be reduced, rhythms simplified, or the number of instruments altered: but all with the aim of honouring the composer’s intentions. How different is the instrumentation in the reduced version we will hear? The version we are using is the work of Yoon Jae Lee as part of his larger Mahler Chamber Project. (Link to Yoon Jae Lee page) Maestro Lee basically cut the winds/brass and percussion in half. For our concert he has included the original tuba part and expanded the percussion. The string sections have been chiefly been left unaltered, but allowances are made for smaller strings sections. Voices: Though Maestro Lee has included a reduction of the 5th movement for women’s voices only we will be using Mahler’s original scoring for women’s and children’s chorus. Orchestra: 2 flutes (doubling piccolos) 3 oboes, 2 clarinets, 2 Bassoons (1 doubling contrabassoon); 6 horns, 2 trumpets (1 doubling posthorn) 2 trombones, tuba; 1 harp (keyboard), 3 percussion – timpani, glockenspiel, snare drum, triangle, tambourine, bass drum, cymbals, bells, tam-tam, rute; strings. What form does it take? Most symphonies have three or four movements, and many follow a standard format, Mahler breaks this form in the No. 3 with six movements. He also breaks the form by including voice as an instrument for the symphony. A further break with tradition involves the length of movements – some are extended to the length of the average symphony, while others fly by in minutes. In the monumental first movement, which he initially entitled “Summer Marches In” he follows the rough outline of the tradition Sonata. But it builds into a resounding orchestral march. By contrast the second movement, “What the Flowers in the Meadow Tell Me” begins as the tradition minuet. However, passages throughout invoke the storms of disrupt the gentleness breezes of the meadow. The third, “What the Animals in the Forest Tell Me”, take the form of a scherzo but the mood loses some of its playfulness with the introduction of a posthorn and military trumpet fanfare. The posthorn returns frequently to interrupt the repeat of the scherzo theme. In contrast to the almost chaotic first movement the final Adagio begins with a chorale melody and then slowly, majestically builds to a triumphant emotional climax. A critic at the premiere said, “It rises to heights which situate this movement among the most sublime in all symphonic literature.” Perhaps fitting for “What Love Tells Me”.